A desired 4 Bedroom home on the North side of Baldwin County. This split bedroom home offers a nice size living room with gas fireplace. The dining room is just off the kitchen which is open to the living room. The kitchen offers plenty of cabinet space and all appliances remaining. The master bedroom has great size with a large walk-in closet. Two other bedrooms share the hall bathroom with laundry room in hallway. The upstairs bedroom could be a great play room or work area. This home is on a very private lot surrounded by site built homes. 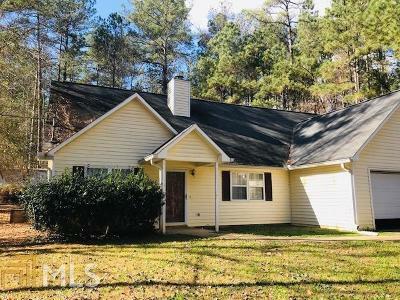 This is a great location between Milledgeville and Monticello. Very private back porch that is perfect for grilling and entertaining. Directions: From Milledgeville, Take Hwy 212, Turn Onto Old Plantation Trail Then Right Onto Scenic Court. 1st Home On The Right.